The Healthy Campus Committee (HCC) of GIT organized the ‘World Cancer Day Celebration’ event on 4/2/2019 to create awareness about Cancer among students and to unite everyone in the fight against Cancer. 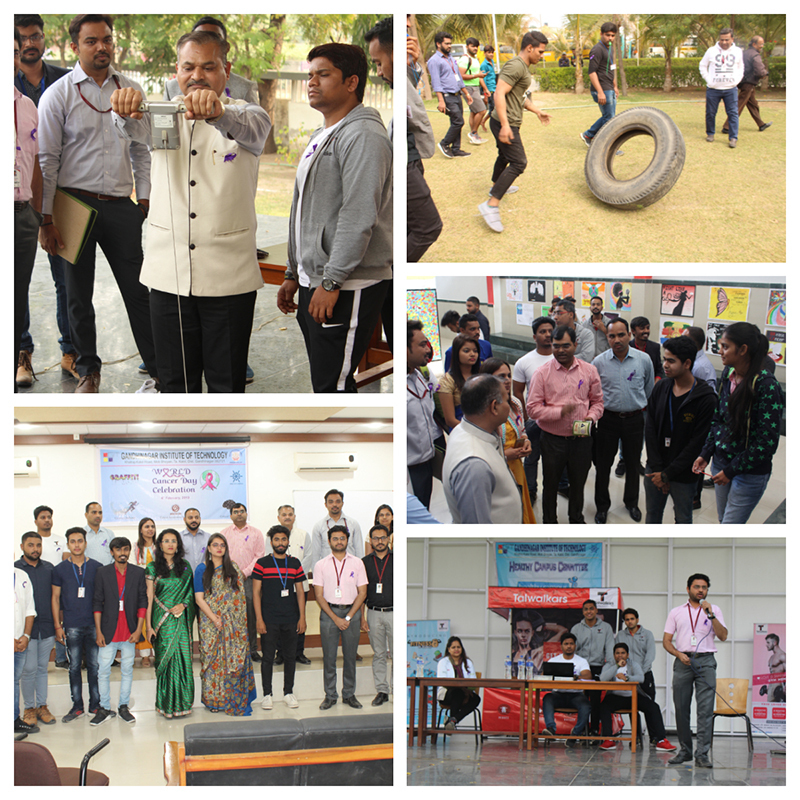 Events like ‘Graffiti’, ‘Fitness Challenge’ and ‘Critical Thinking’ were organized. 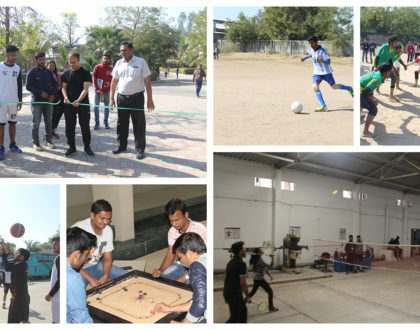 Students from different institutes participated in the event. ‘Talwalkars Gym’ carried out BCA and fitness tests for students. Shri Harish Kumar (Superintendent, NCB) was the chief guest for the afternoon session. 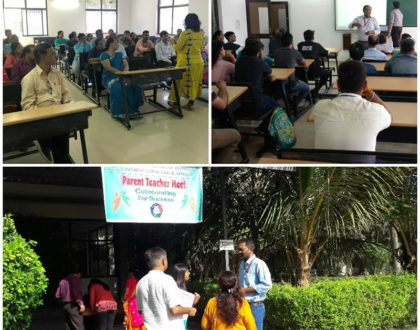 A ‘Cancer Awareness Seminar’ was delivered by Shri Sagar Brahmbhatt and Dr. Twinkal Patel from the ‘High on Life’ foundation.